The famous cattle baron, Charles Goodnight, nearly left for California in 1856. Such a move might very well have changed the economic landscape of our region in unimaginable ways. Just as he and his stepbrother were ready to head west, his brother-in-law, Claiborne Varner convinced them to stay when he hired them to tend to 400 of his cattle along the Brazos. Eventually, Goodnight bought Varner’s entire CV cattle company and upon it, he grew a cattle business that made him the most famous rancher in the history of Texas. Claiborne Varner was born November 10, 1824. Prior to moving here, he had been initiated as a Mason at Gillespie Lodge 55 in the town of Wheelock during the 1840s. When Waco Lodge received its charter in 1852, Varner was selected as our first sitting Worshipful Master. He was also McLennan County’s first county commissioner, a role he filled from 1850 until 1861.An 1857 Austin newspaper shows that Varner also entered into the railroad business with 92 charter member George Erath but to what extent we cannot know. In 1854, Varner and fellow Waco Lodge member George Erath became founding trustees of Soule University in Chapell Hill. Bro. 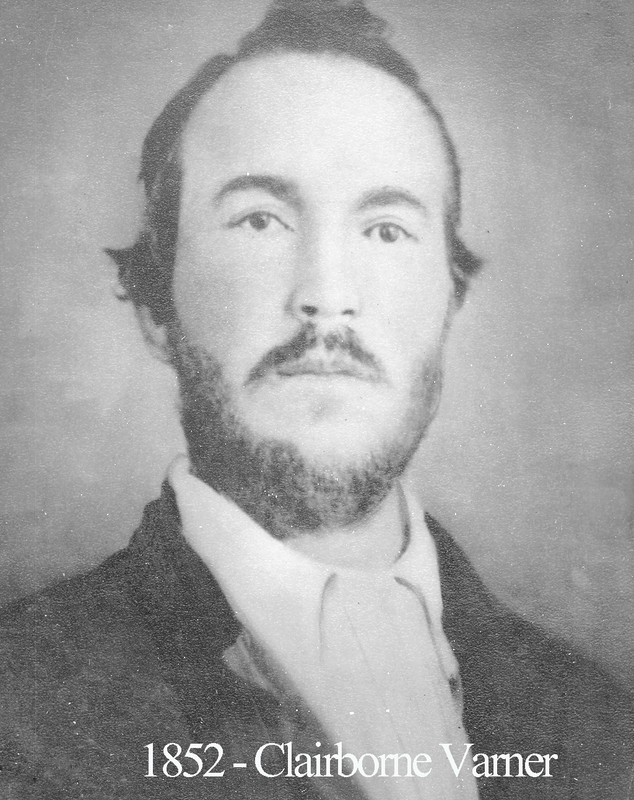 Varner moved to Weatherford about 1870 and was buried in Greenwood Cemetery there after he died August 10, 1878. On February 18, 1921, a young carpenter joined our lodge. Charles M. Goodnight, the namesake of his famous cattle baron uncle who was serendipitously hired by Bro. Varner many years earlier, was raised to the sublime degree of a Master Mason. That he become a Mason at Waco 92 was important to him on account of the fact that it had been our first Master who helped extend the notoriety of the Goodnights’ reputation as one of Texas’ premiere early families. 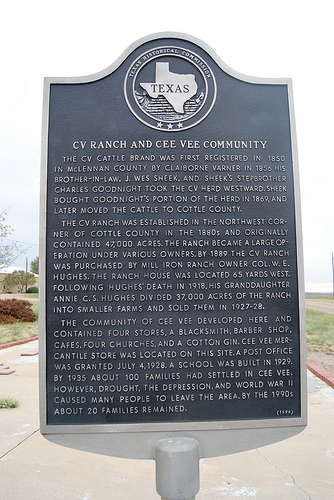 Today, there is a tiny town halfway between Wichita Falls and Amarillo named Cee Vee. It was named after a herd of cattle sold by Charles Goodnight to the man who orginally settled in the area. When deciding on a name for the town, people settled on Cee Vee as inspired by Claiborne Varner’s brand on the cattle.